REYNOLDSBURG, Ohio — The first positive case of West Nile Virus (WNV) in an Ohio horse has been confirmed. Testing on samples taken from a seven-year-old Standardbred in Tuscarawas County confirmed the positive WNV diagnosis to the Ohio Department of Agriculture Sept. 12. The horse’s veterinarian first examined the animal Aug. 29. The animal was euthanized after exhibiting significant clinical signs, including shaking, agitation and thrashing. The horse had not been vaccinated. 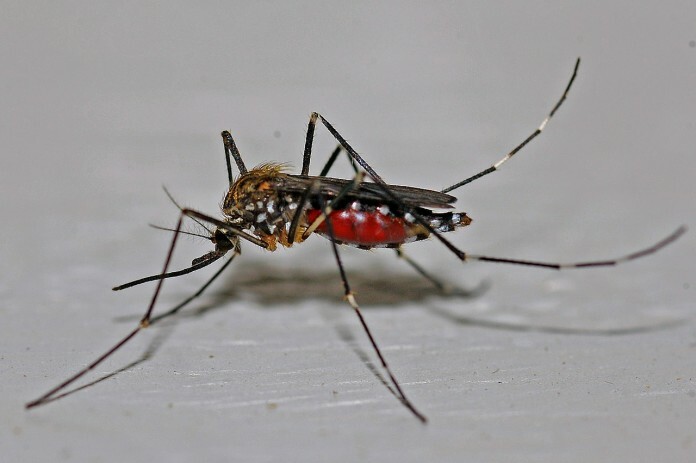 West Nile Virus is transmitted to horses via bites from infected mosquitoes. Clinical signs for WNV include flulike symptoms, where the horse seems mildly anorexic and depressed. Changes in mentality, drowsiness, driving or pushing forward (often without control) and asymmetrical weakness may be observed. Mortality rate from WNV can be as high as 30-40 percent in horses. Infection with WNV does not always lead to signs of illness in people or animals. WNV is endemic in the United States and Ohio has reported three positive cases in horses each of the last few years. State Veterinarian Dr. Tony Forshey said, this should serve as a warning to horse owners to get their animals vaccinated. In addition to vaccinations, horse owners also should work to reduce the mosquito population and eliminate possible breeding areas.